Today, billions are malnourished: not eating a diet containing energy and nutrients in healthy amounts. Both lack of food and excess of consumption cause huge levels of disease worldwide. To a significant extent, the food systems in which people participate determine what people can and do eat (i.e. their diets); and as a consequence, their health. Food systems are, therefore, central to solving many of the world’s biggest health challenges. But the way in which they affect health in different regions and among different groups of people is complex, and varies greatly. An understanding of these interconnections and their effects is needed, in order for food systems to be changed in ways that promote human-wellbing. What are the drivers of dietary choices at individual and societal levels? What is food security and what factors determine or influence it? Global challenges for nutrition: what forms can malnutrition take? How do these vary by region and demographic group? How are nutritional problems changing over time? Food is linked to health and human well-being of people in numerous ways, including: diet and nutrition; environmental pollution; and the spread of infectious diseases via food production and consumption. Food consumption of individuals and households is shaped by multiple, complex, and interlinking factors. Similarly, diet-related health impacts are determined by a range of factors ranging from individual biology, cultural and social context, up to economic and political decisions at national and international levels. The health benefits and risks associated with food are unequally distributed between different socioeconomic backgrounds, genders and locations. Food access is critical to this: poorer people typically spend a higher proportion of their weekly budget on food – either cutting back on food or on other health promoting necessities. Food security is a necessary condition for human well-being. 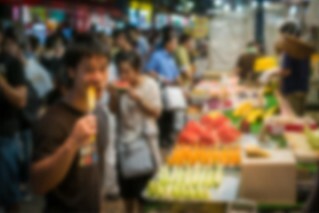 Food security for any individual or community is the outcome of four necessary conditions being in place: food needs to be available (physically obtainable), accessible (socially / economically obtainable), utilisable (consumable / digestible) – and these three factors have to be stable over time (reliable). Malnutrition has various forms: undernutrition; micronutrient deficiencies; and overconsumption. Some progress is being made on undernutrition; micronutrient deficiencies are still widespread; and over consumption and its attendant health concerns are worsening. In higher-income countries, overweight and obesity correlates negatively with wealth: i.e. there is a higher prevalence amongst more economically deprived people and their children. However, at a global level, overweight and obesity are more prevalent in richer countries. Undernutrition is result of energy deficiencies, leading to low body weight and hunger. Often this arises from poverty and a diet lacking in diversity, dominated by grains or tubers. It is of greatest prevalence in Sub-Saharan Africa and South Asia. The geographic prevalence of micronutrient deficiencies depends on the nutrient, as deficiencies can accompany both under- and overnutrition, and depends on local food systems and diets. Nutrient deficiencies can lead to a vast array of specific deficiency diseases, and can occur with or without sufficient total calorie intake. Overweight and obesity, caused by overconsumption of calories, are associated with diets rich in energy dense food types, such as fats and sugars, and can contribute to Type 2 diabetes, heart disease, strokes and some cancers. Their causes are multiple and complex, influenced by lifestyle, socioeconomic and genetic factors. As food systems become more globalised, countries transition from localised food scarcity and hunger, towards a state of over-consumption (which is where developed countries currently sit), then theoretically and optimistically, towards healthier and more sustainable diets. Garnett, T., & Finch, J. (2018). How are food systems, diets, and health connected? (Foodsource: chapters). Food Climate Research Network, University of Oxford.